When you bought your PC, it probably came with a ton of bloatware pre-loaded, including a trial for an antivirus program that would scan your computer for viruses for free but then ask you to sign up for a paid-for version before you could actually remove anything it might have found. Despite what the antivirus software makers would have you believe, there are lots of ways to stay safe in Windows 10 that don’t mean paying for their software. Here’s how to have a safe PC without antivirus software. Windows Defender is Microsoft’s built-in protection for your computer. 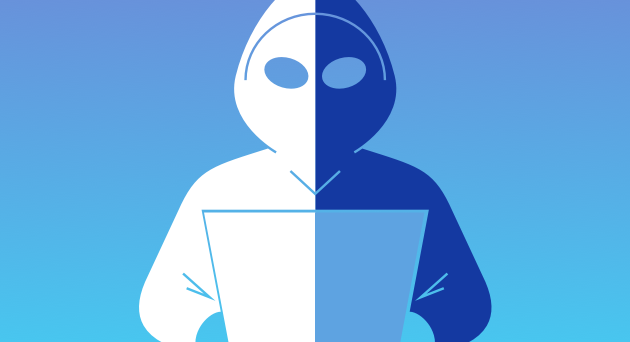 It’s a one-stop shop for malware protection, monitoring the firewall, making sure your account hasn’t been compromised, and a number of other health and security features. It starts working automatically as soon as you boot your PC and runs in the background monitoring your computer. It’s important to keep Windows Defender updated, malware threats evolve and change all the time. To do that, click “Show hidden items in the taskbar and then right-click on the Windows Defender icon (the shield). Now choose, “Check for protection updates”. As well as keeping Windows Defender up to date, you should make sure Windows itself is always up to date. Critical security patches should be installed automatically, but it’s worth checking nevertheless. Make sure that Network Firewall, Virus Protection, Internet security setting, and User Account Control are all set to “On”. You probably have lots of applications you no longer use installed on your system. Some of them probably came pre-installed, others will be apps you installed but don’t use anymore, but there may be some that were downloaded and installed without you realizing it. To be very safe, it’s wise to keep only those apps and programs you use. To uninstall programs, you could go through them one by one, right-click on them and choose Uninstall. However, there is an easier way. CleanMyPC allows you yo install up to ten applications at a time quickly and easily. As with applications, you probably have a number of browser extensions installed the you no longer use. It’s important to remove them as old, outdated extensions can be a security weakness. Again, you can easily remove browser extensions for the most well-known browsers using CleanMyPC. Just choose the Extensions utility in the sidebar and follow the instructions. You can then either remove all of them with one click, or just the ones you don’t want. It’s not just extensions that can present a threat as far as browsers are concerned. There are lots of other files downloaded by websites onto your PC that that compromise your privacy and security. These include cookies, cache files, and even your browser history. Again, CleanMyPC can help here, by removing these files quickly and easily. Files don’t disappear when you drag them to the Recycle Bin. They don’t even disappear when you empty the Recycle Bin, they’re still there on your hard drive, just not visible. To delete them securely, files need to be overwritten several times. CleanMyPC’s File Shredder tool does just that. Use it to delete files that contain sensitive data such as usernames, passwords, or financial information. This is hugely important. Most malware is distributed using a technique using social engineering. Put simply, it relies on tricking users into downloading files or filling in information themselves by making them think the link they click on is legitimate. Never download a .exe file unless you are absolutely sure of what it is and where it’s come from. Likewise, you should never fill in a form on a website, especially one where you have to fill in your email or street address or provide payment details, without being sure that the site is what it claims to be and that it’s secure. The site’s URL should start ‘https:’ — the ’s’ means “secure”. And look for a padlock in your browser’s status bar. Never click a link in an email, unless you were expecting to receive the email and know where it’s from. If you’re unsure, right-click on the link, choose Copy and then paste it into Notepad. If the link address looks like it points to where it claims to link, paste it into your web browser’s address bar. The same is true of links in messaging apps, unless they come from people you know. Don’t exchange sensitive information in messaging apps, unless the app encrypts all messages, as WhatsApp does. As you can see, there is a lot you can do to state safe in Windows, without using antivirus software. Keeping Windows updated is a big step in the right direction. CleanMyPC can help get rid of potential malware, and your own vigilance will go a long way to keeping your computer secure.